The biggest mistake that Wichita homeowners make when it comes to their AC systems is waiting until they've noticed major problems with the system—often until the system breaks downs completely—before they call in a professional for service. By that time, you'll be paying more for more complicated repairs, and you'll also have lost money on your cooling costs because your energy efficiency will have sharply declined. Taking care of problems with your AC as quickly as possible will save you money and keep problems from developing. Unfortunately, however, it is often very difficult for the average homeowner to notice problems before they turn into serious issues. The professionals at Ball Heating & Air Conditioning recommend that you have a tune-up of your air conditioner performed at least once every year. We include tune-ups in our Security Agreements and our Comfort Agreements, and we'll contact you to set up the appointments for AC tune-ups at your Wichita home each Spring. The money that you spend on energy each month can be drastically reduced with regular AC tune-ups. Tune-ups make it easier for your AC to cool your home, and they can pay for themselves with the energy savings alone. Catching problems with your AC as soon as possible will stop further damage from occurring and can extend and enhance your air conditioner's lifespan. By making sure that you find any problems with your AC as early possible after they develop, you'll prevent larger problems from occurring in the future, and you can even prevent costly breakdowns from occurring. AC tune-ups can keep you from ever needing to have emergency repair services. Tune-ups help to ensure that your air conditioner is constantly running as efficiently as possible, so your home will be kept cool and comfortable throughout the summer months. AC tune-ups are one of the most beneficial things you can do for your air conditioner and your home, and our professional heating and air conditioning contractors guarantee your complete satisfaction with all of the work that we provide. 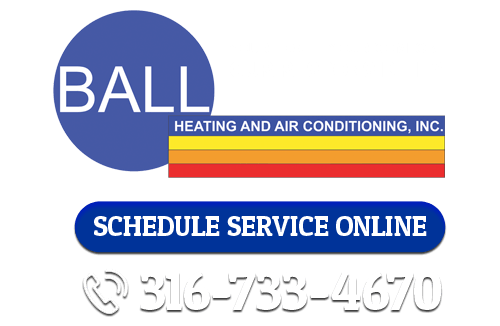 If you're looking for air conditioning tune-ups in Wichita, call Ball Heating & Air Conditioning at 316-733-4670, or fill out our online request form.